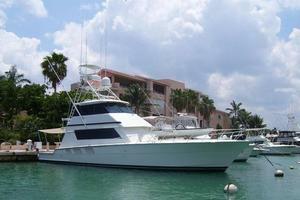 PREMIUM is powered with Detroit Diesel 16V-92TA @1450HP with approximately 2000 hours SMOH. 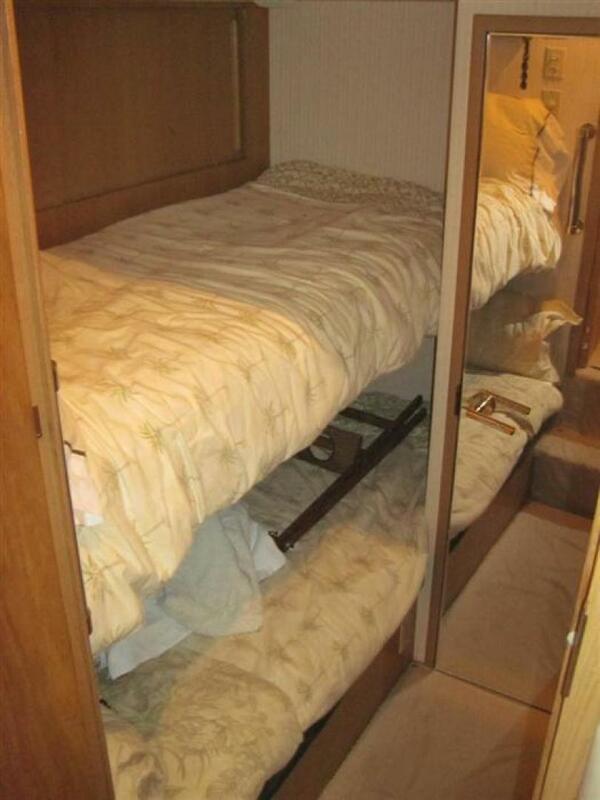 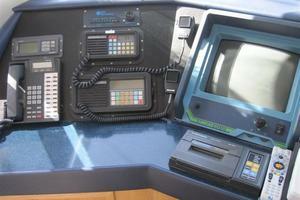 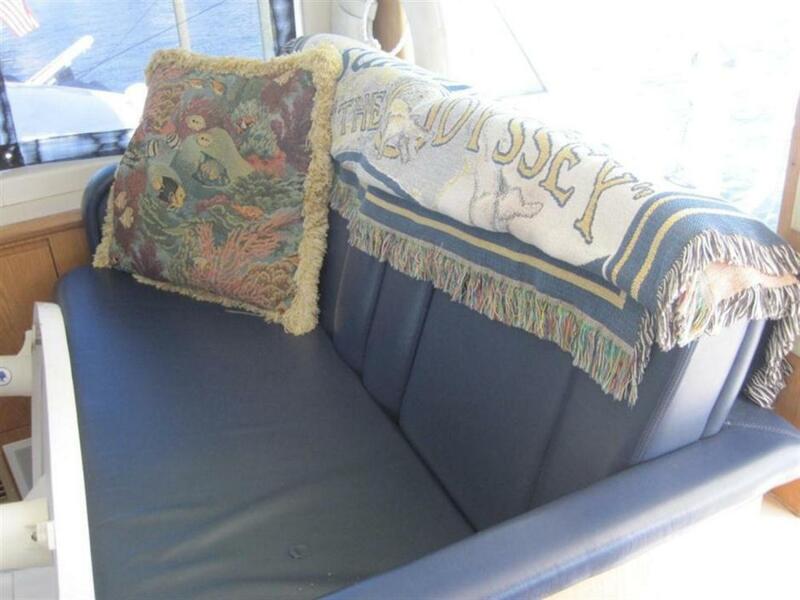 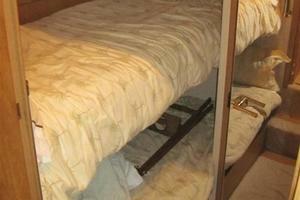 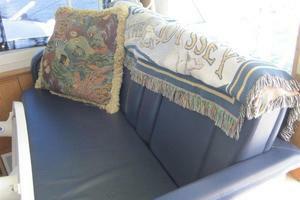 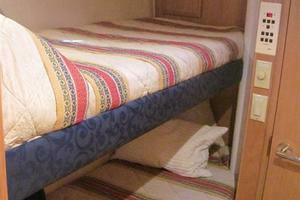 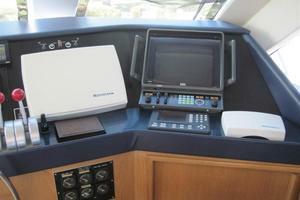 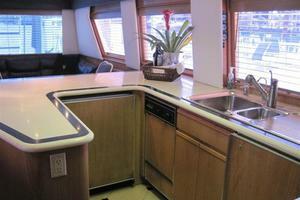 The seller offers this boat at a much reduced price! 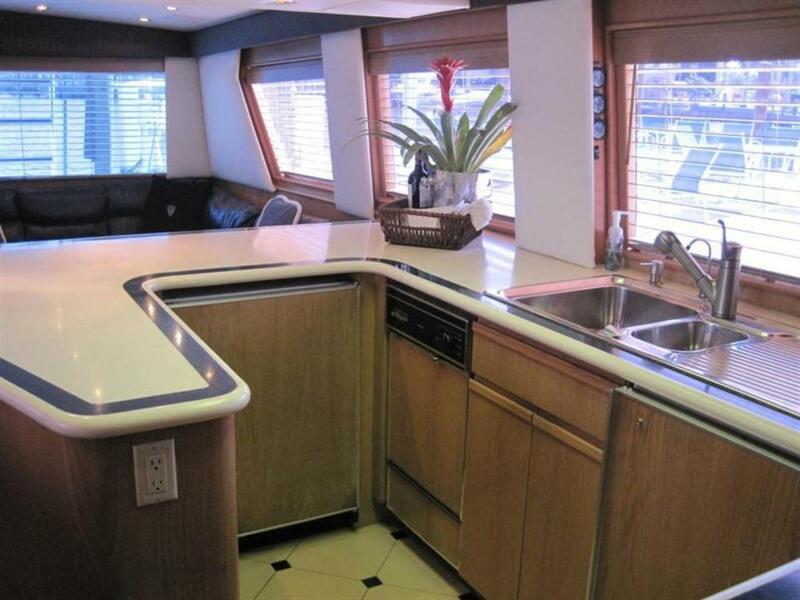 The vessel was built in 1997 with the desirable four stateroom layout, low profile galley with dinette and an enclosed flybridge. 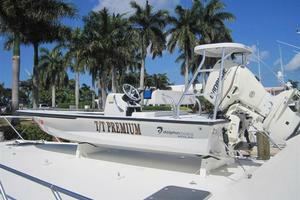 Equipped with stabilizers, full Pipewelders tower, Rupp outriggers, davit and flats skiff along with much more. 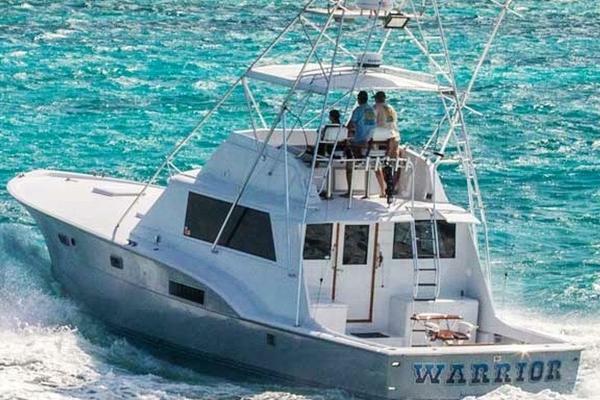 The perfect platform to cruise, fish and dive as this boat is the benefactor of 17-years of one family making her cruise ready! 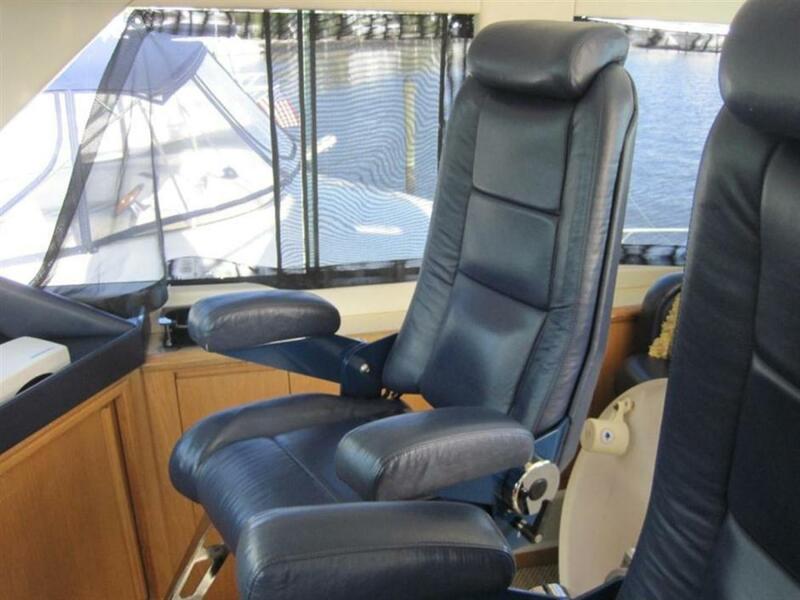 Additional features include cockpit lighting, surround sound with outdoor speakers. 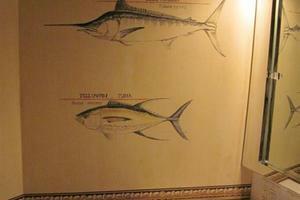 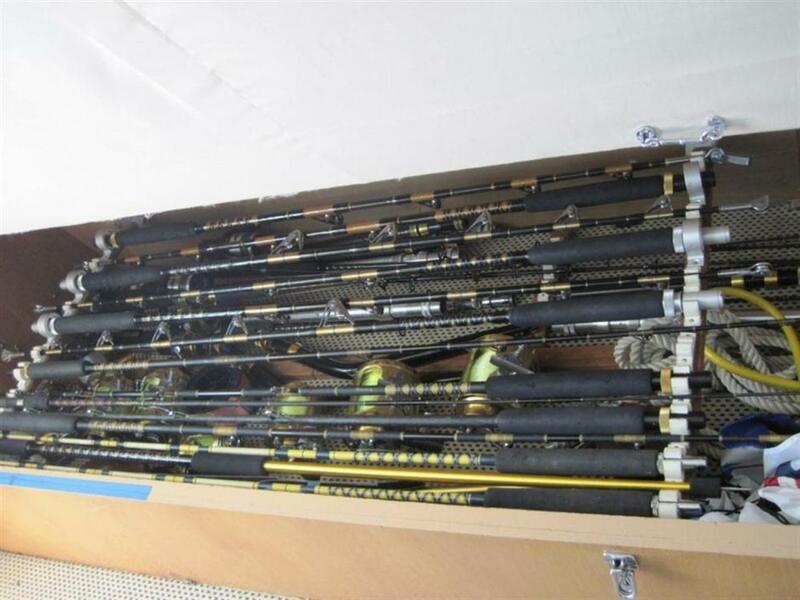 She is fully fish rigged with electric reels for deep drop fishing made comfortable with stabilizers and aft controls. 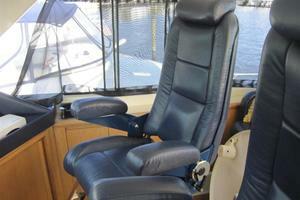 She also features an interchangeable cockpit table, fighting chair and rocket launcher. 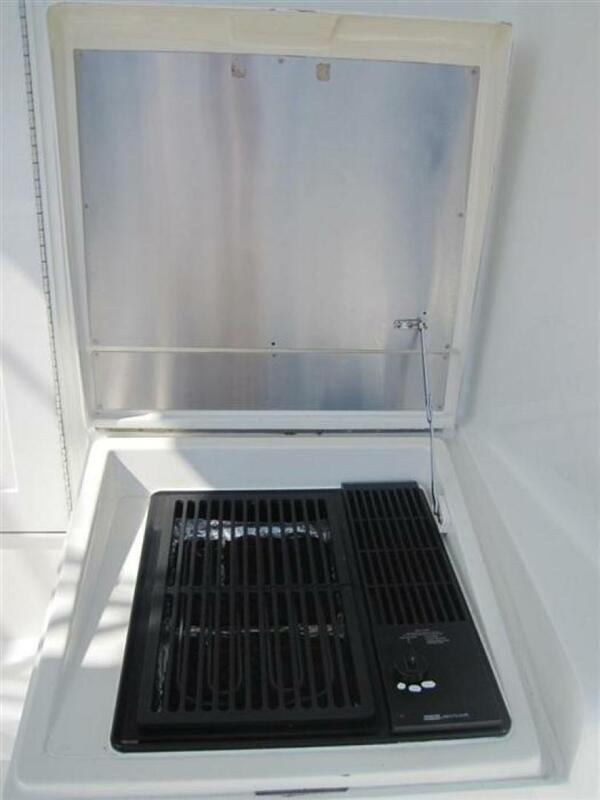 The custom extended bridge deck over the cockpit tackle station provides shade for tackle drawers, freezers, sink and rigging area in the cockpit. 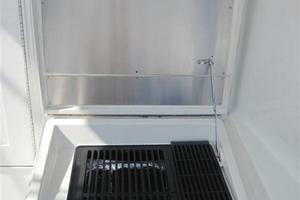 There is also a large custom installed BBQ grill built-in under the hatch! 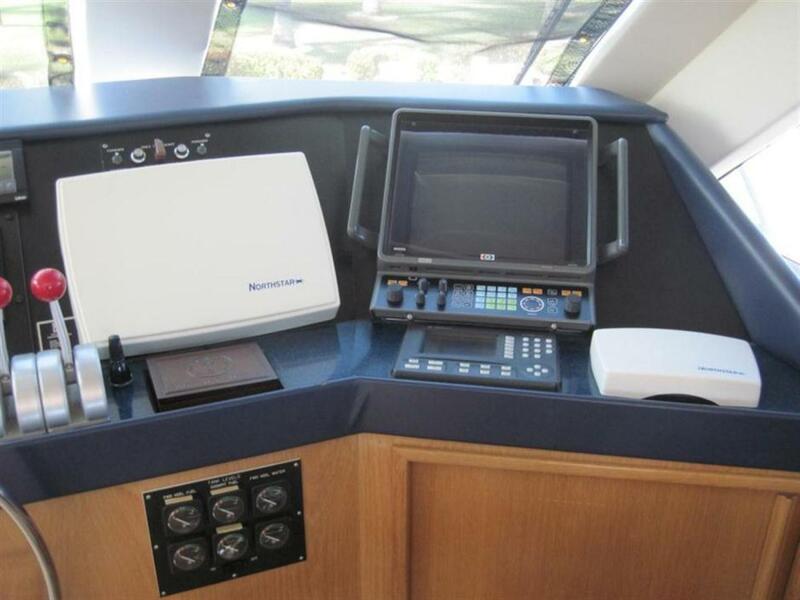 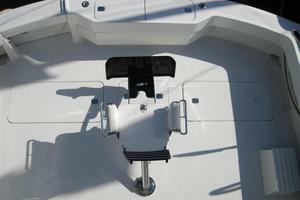 The cockpit floor and transom are rigged with ample fish boxes and storage areas. 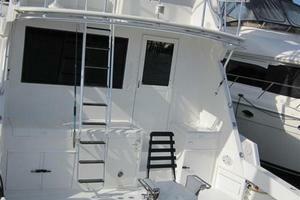 There is an exterior ladder to the bridge and tower. 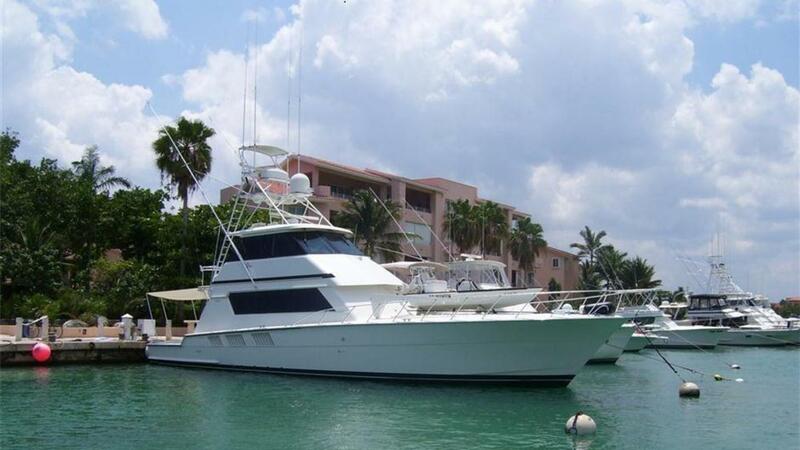 PREMIUM has recently completed hull and mechanical surveys conducted by MSG Surveyors and main engines and gens surveyed by RPM Diesel of Ft. Lauderdale. 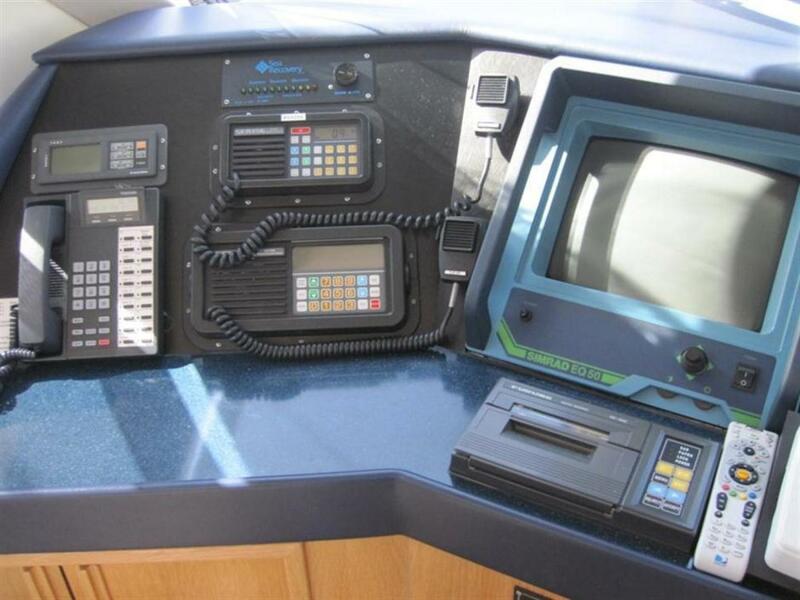 Survey items have been corrected or in process of being repaired as of June 2018. 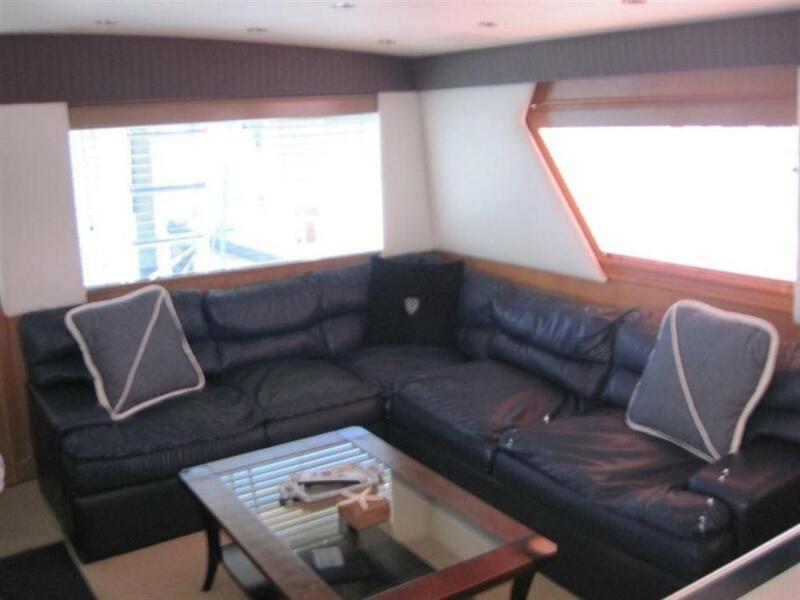 The vessel is in very good condition cosmetically and mechanically, and her interior is kept fresh with very light usage. 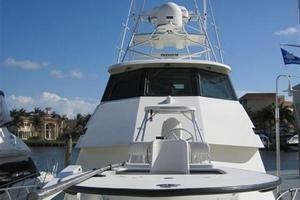 PREMIUM represents an exceptional value in a 65’ Hatteras in "above average" condition and ready to go! 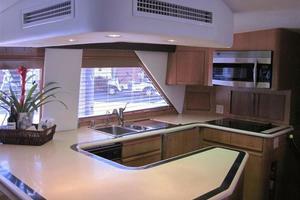 Full surveys available to potential buyer, saving thousands of dollars in purchase costs! 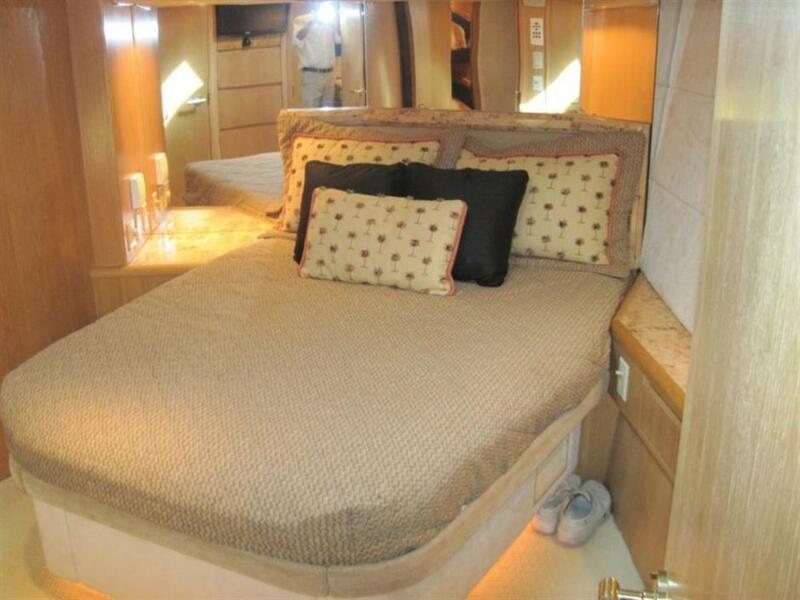 Entering from the cockpit, the salon is larger than standard size due to the "cut down" galley. 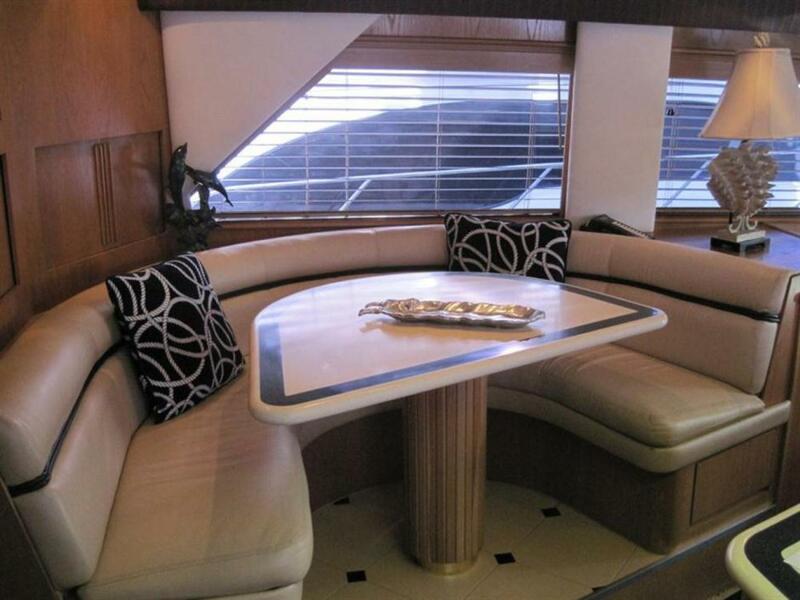 The oak joinery interior blends nicely with the leather L-shaped sofa, (2) occasional swivel chairs and burl cocktail table. 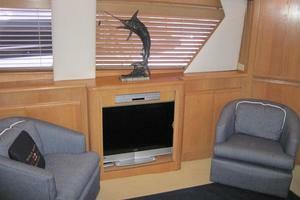 The carpet is a neutral beige/cream along with oak blinds, upholstered valances and cream labrequins. 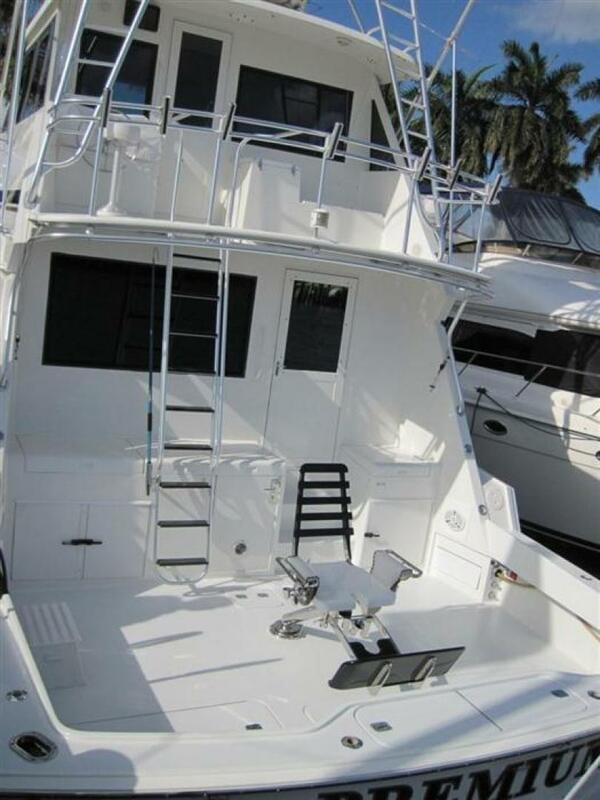 The fully equipped cockpit features fighting chair, transom & refrigerated fish box, bait freezer, live well, cockpit sink, tackle center, BBQ grill, triple spreader outriggers plus more! 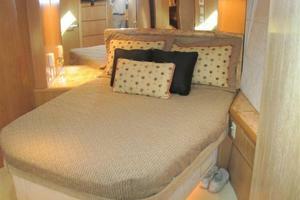 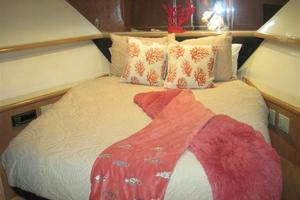 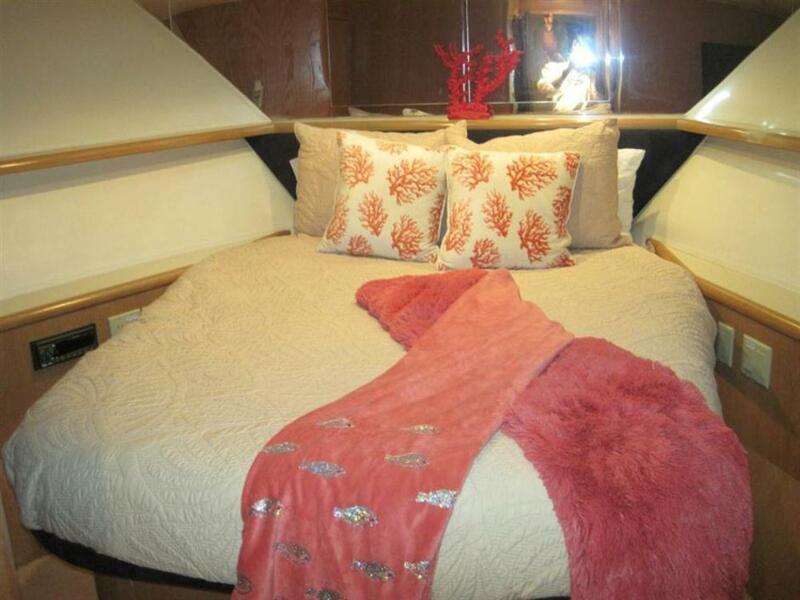 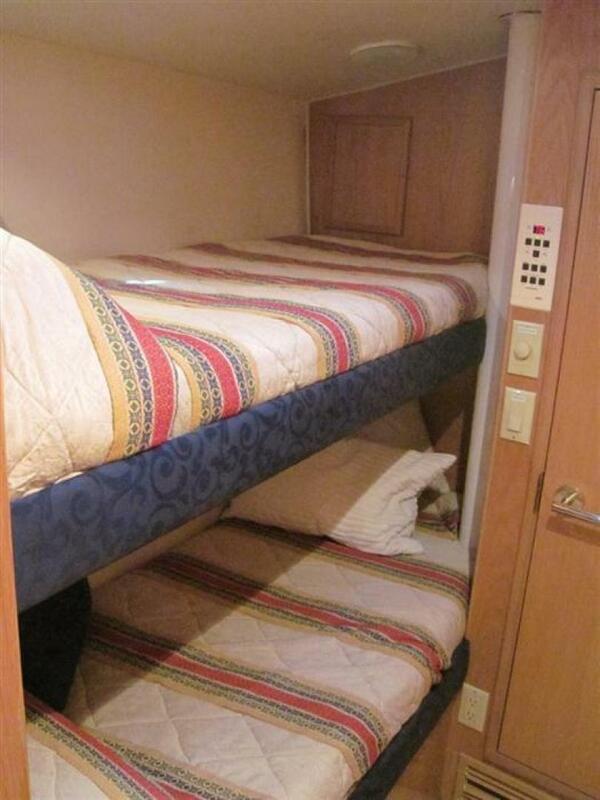 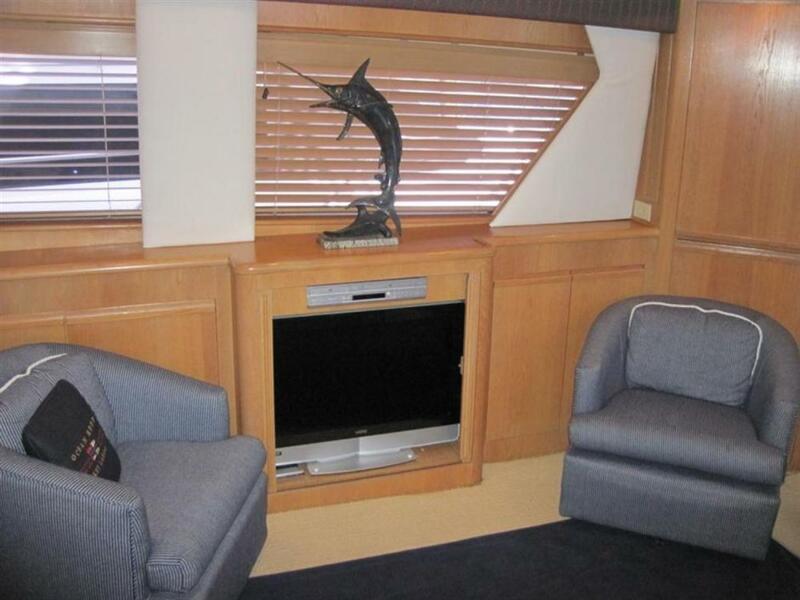 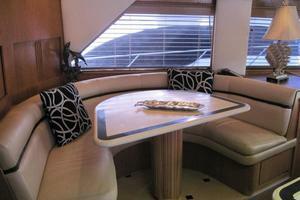 Built in 1997 with the desirable four stateroom layout, low profile galley with dinette and an enclosed flybridge. 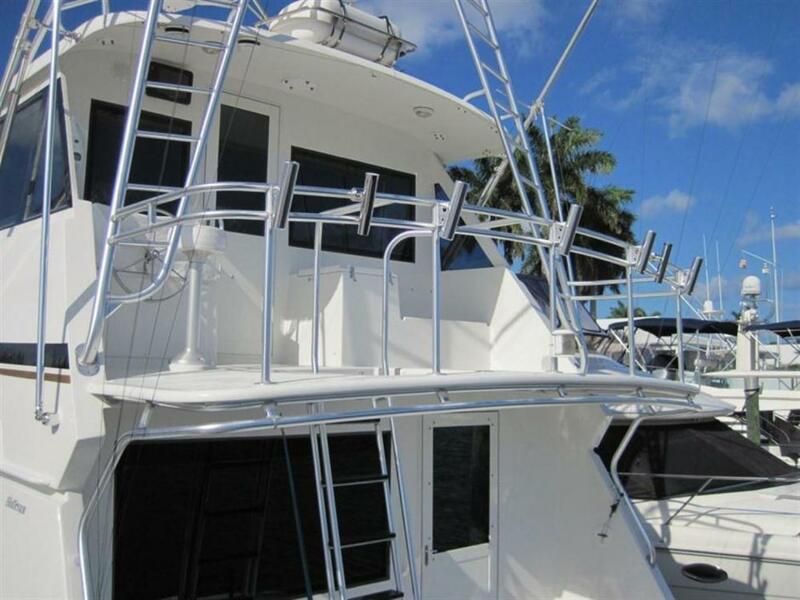 Equipped with stabilizers, full Pipewelders tower, Rupp outriggers, davit and much more. 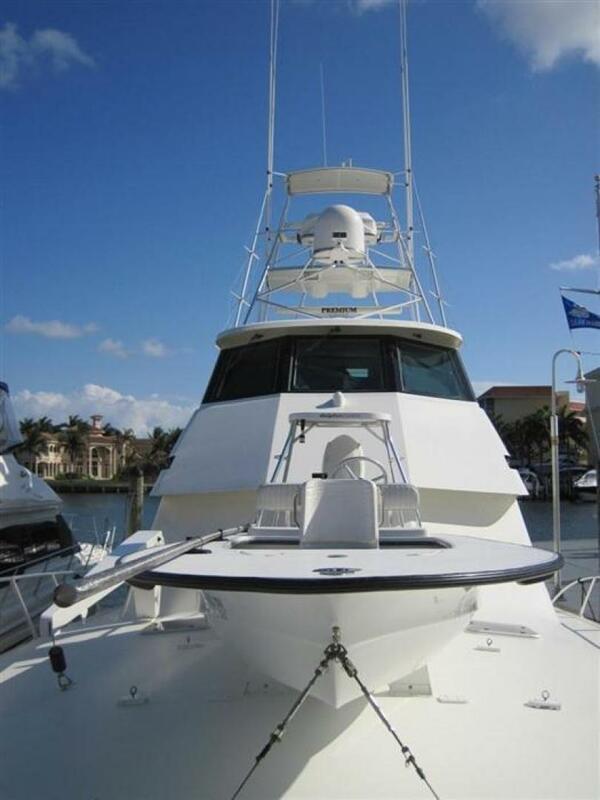 The perfect platform to cruise, fish and dive as this boat is the benefactor of 17-years of one family making her cruise ready! 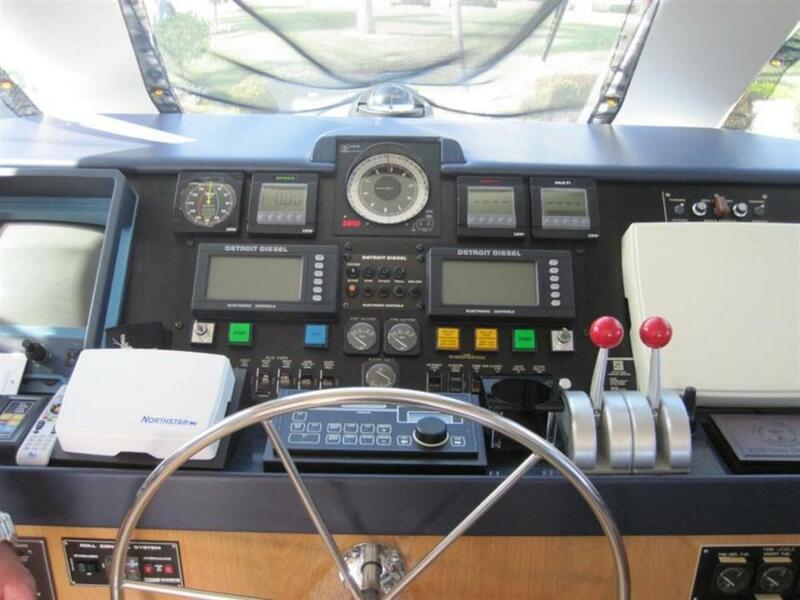 Additional features include watermaker, ice chipper, cockpit lighting, surround sound with outdoor speakers. 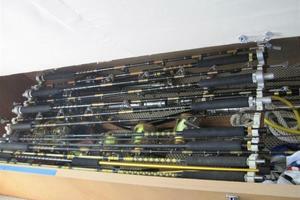 she is fully fish rigged with electric reels for deep drop fishing made comfortable with stabilizers and aft controls. 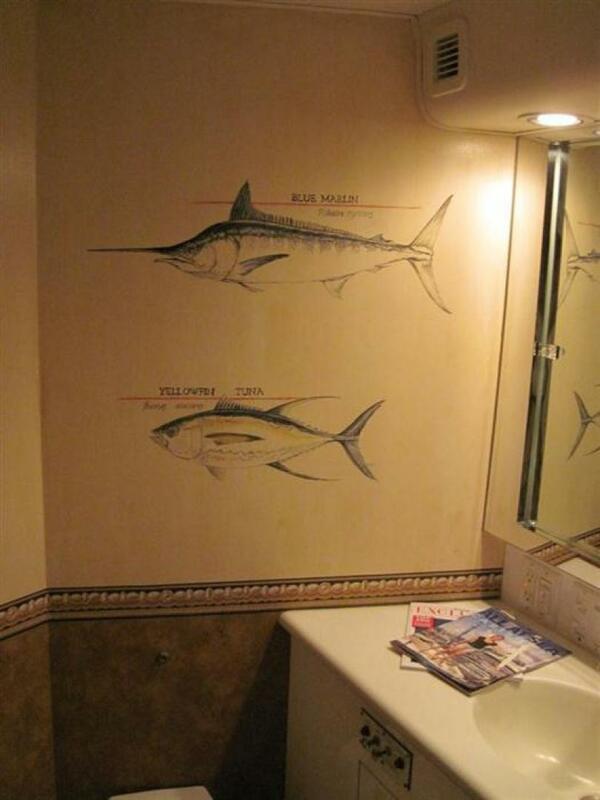 She also features an interchangeable cockpit table, fighting chair and rocket launcher. 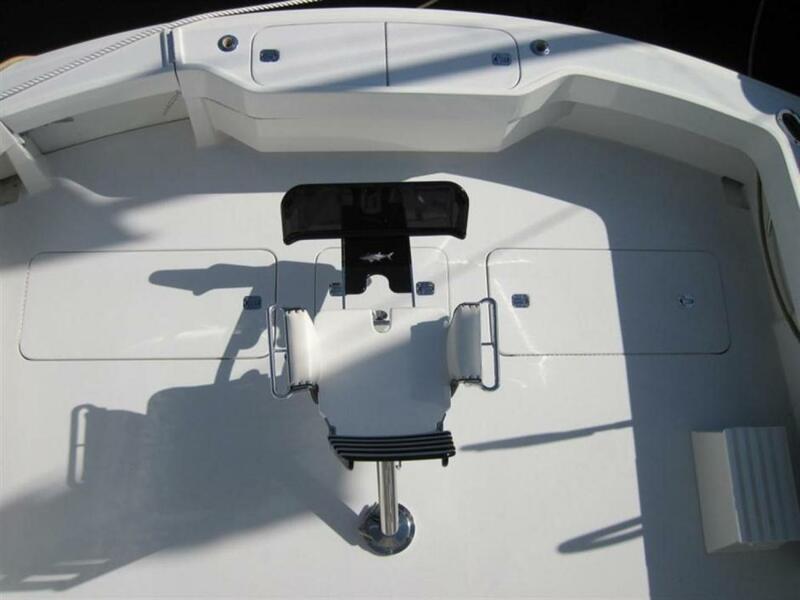 The custom extended bridge deck over the cockpit tackle station provides shade for tackle drawers, freezers, sink and rigging area in the cockpit. 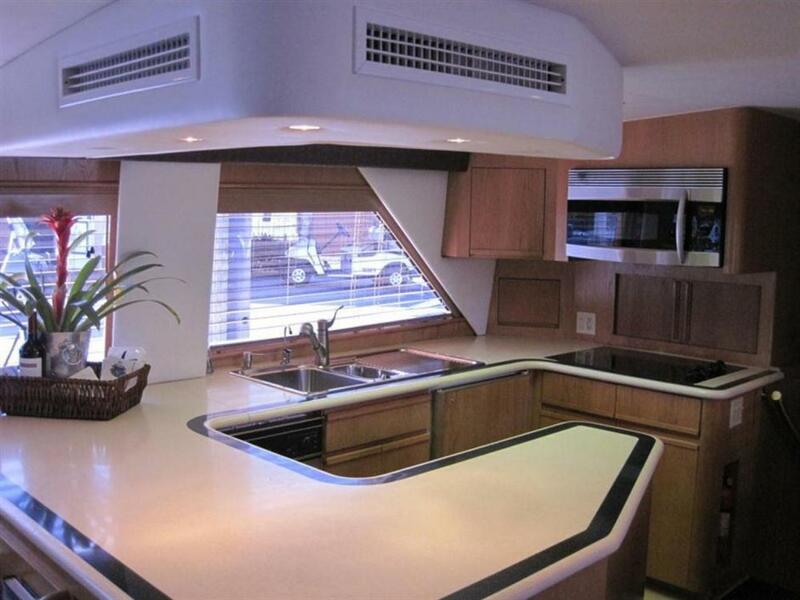 There is also a large custom installed BBQ grill built-in under the hatch! 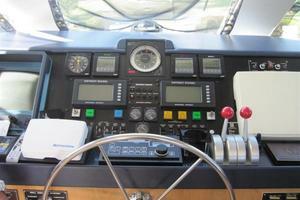 The cockpit floor and transom are rigged with ample fish boxes and storage areas. 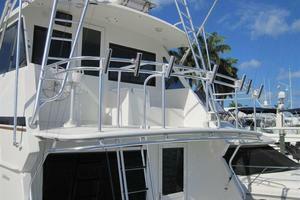 There is an exterior ladder to the bridge and Pipewelders tower with controls. 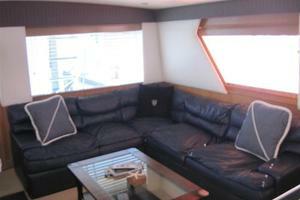 The entire vessel is in "above average" condition and her interior kept fresh with light usage. 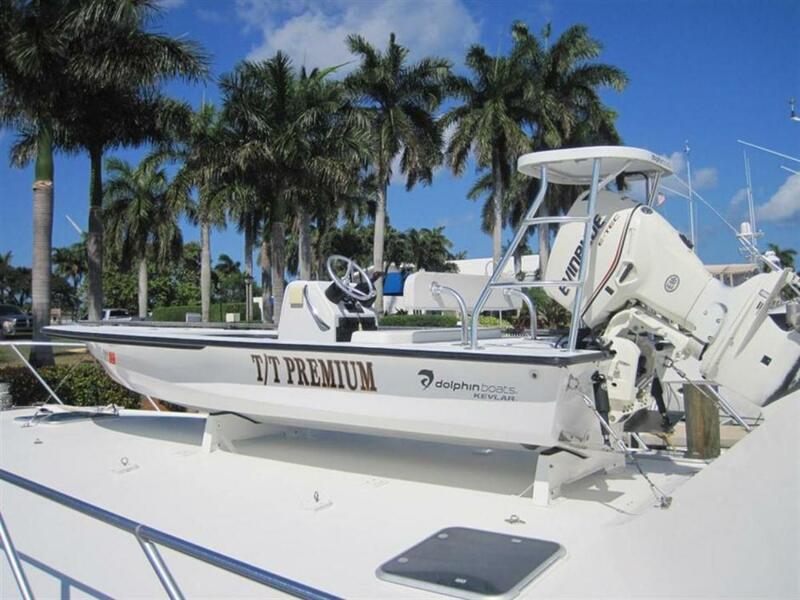 PREMIUM is moored in South Florida and ready to go!